Alas, I may have confessed in an earlier post (or two) that I am writing a novel. Right now, it feels like the part of my brain that was exuberantly creative in the first half of this year has gone to sleep and refuses to wake up. Is it possible that I am in the grips of the dreaded spectre that is ‘writer’s block’? I need help. I need to get unblocked. I’ve tried a few things with no success so now can I look to cinema to arm me with the tools I need to begin writing with vigour and ingenuity once again. 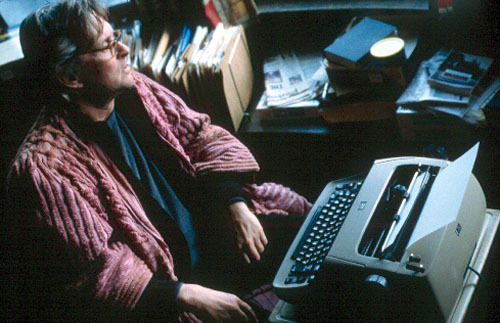 A quick skip down memory lane to revisit the many, many films about a writer or the writing process (of fiction, of poetry, of plays and of course, most often of screenplays) doesn’t offer much in the way of guidance. What do I see? Countless struggles. Repetitive tasks. Blank pages. Coffee. Whiskey. Fragile egos, overblown egos. Out-and-out mayhem. Days of emotional instability. The road to madness. Why so bleak a picture of the writer’s life? Because writers in films are usually on an internal journey – what they are writing about is of far less importance than what they go through to excavate that finished manuscript from the depths of their soul. Often writing is a task fraught with peril. Writers risk the friendships they mine for material, the intimate relationships they overlook then compromise as they suture themselves to their QWERTY keyboards and their artistic integrity as commercial imperatives take over. There is a price to pay and sometimes it’s quite high (as you’ll see below). There are as many films about writers and writing as there are unproduced screenplays in Hollywood. Let’s have a look at what happens when you kill your darlings – here are ten of my favourite writers coming unstuck in celluloid. Did Billy Wilder make a bad film? I don’t think so. 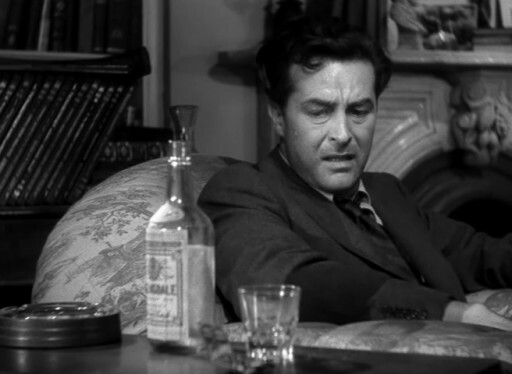 And in this extraordinary one, it’s a serious case of writer’s block and self-doubt that sets Ray Milland’s New York writer, Don Birnam, on a downward spiral of alcoholism that spans six years and the lost weekend referred to in the title. Like the whiskey bottle we see in the film’s opening, Don is hanging on a thin rope. He sees himself as two people, ‘Don the writer’ and ‘Don the drunk.’ His journey involves figuring out how to put these halves together into a functional whole. As Don seeks solace at the bottom of a bottle, there will be casualties – lies exposed, money stolen, items pawned (he tries and fails to get rid of his typewriter) and relationships challenged, with a brother called Wick (Philip Terry) and a lover called Helen St. James (the always sympathetic Jane Wyman). But in the end the pull of the typewriter proves too powerful to refuse and what was lost is found again. 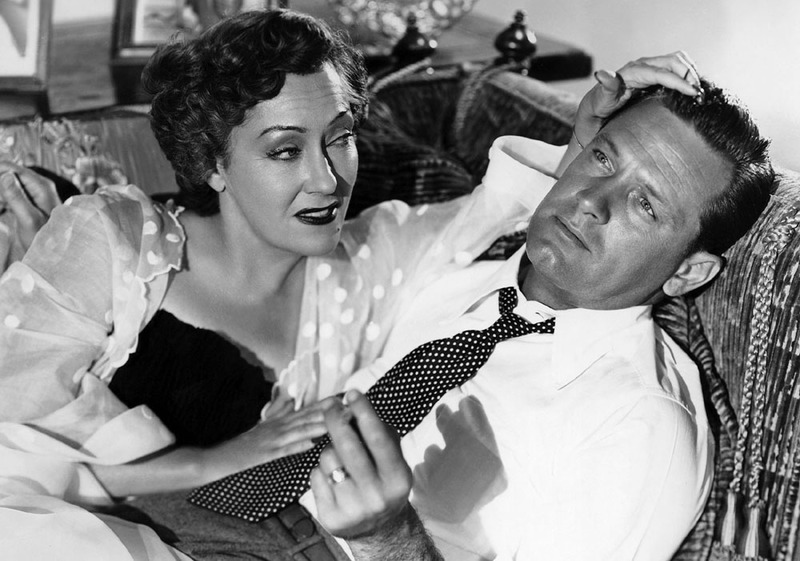 Wilder’s other significant writer film, the noir Sunset Boulevard, is one of the great Hollywood films. Handsome William Holden is Joe Gillis, an unsuccessful screenwriter, who’s down on his luck and unable to get work. Gloria Swanson is unforgettable as faded silent film star Norma Desmond. Desperation leads Joe to her door and to an unholy alliance working on a script idea she has for a film about Salome. It’s designed to resurrect her career. It will bury his. Joe will regret the day he crossed the threshold of her decaying mansion – it isn’t a spoiler to reveal that by the end of the film he’ll be dead because Sunset Boulevard opens with his body floating lifeless in her murky swimming pool. Then Wilder flashes back to show us how he got there – it’s the writer’s journey that matters and it’s so stylishly rendered by all involved, including the famous ‘All right Mr DeMille, I’m ready for my close-up’ finale – that this is one train wreck you want to jump right on board. 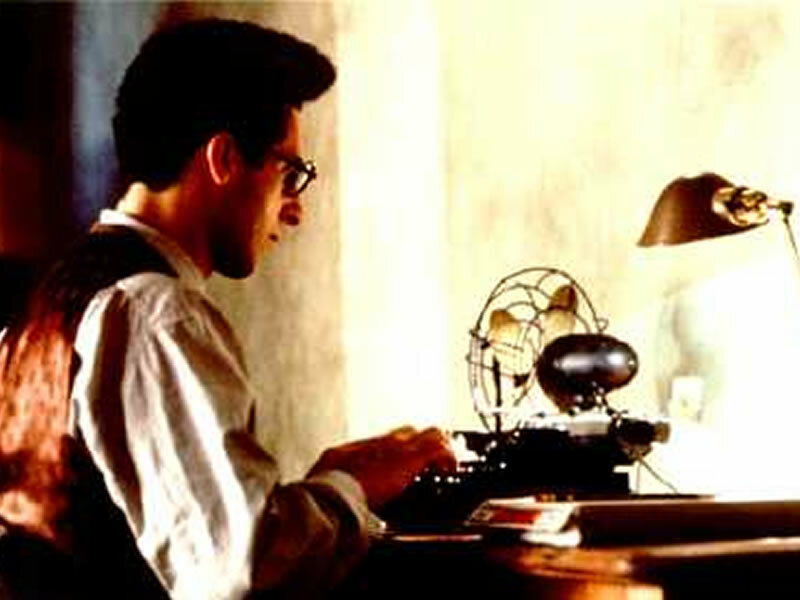 Set in 1941, this Coen brother’s masterpiece stars John Turturro as Barton Fink, a New York playwright, contracted to write a Hollywood screenplay. He’s fresh from a big Broadway success, but makes a Faustian pact that sees him descend deep into the dark side of his soul. This is a film about the screenwriting process, exploring the divide between theatre and cinema, Broadway and Hollywood, and high and low culture. Hollywood is presented as a hellish nightmare for writers with artistic inclinations. 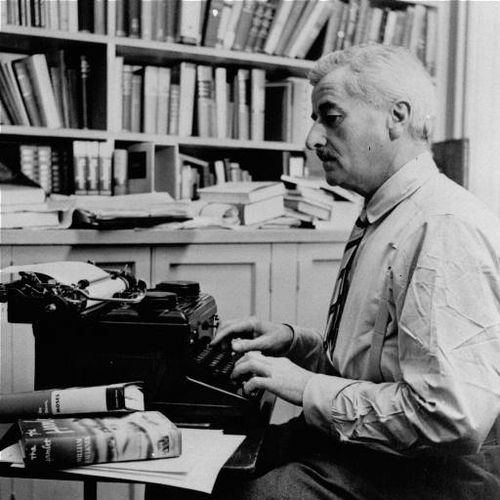 Barton has writer’s block – stuck on the first words that stare back and taunt him from the grip of his Underwood: ‘Fade in on tenement building on Manhattan’s Lower East Side. Faint traffic noises audible.’ Just like the faint noises in Barton’s head. Brilliant stuff. You wouldn’t expect anything less from two of American cinema’s greatest living screenwriters. 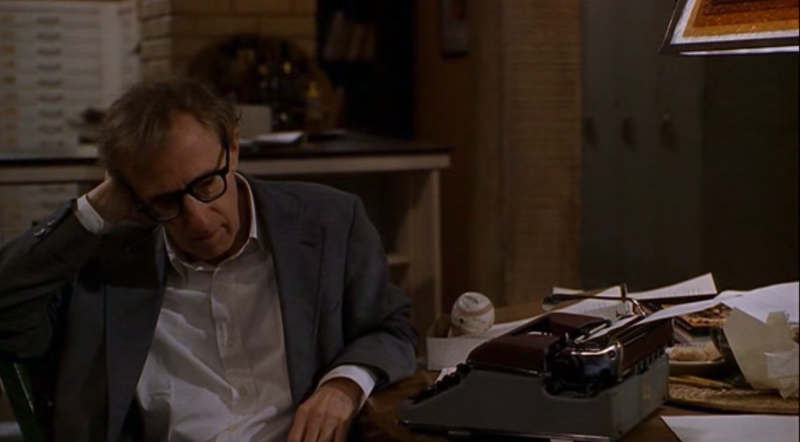 Almost every Woody Allen film involves a writer of some kind, but Deconstructing Harry is his most caustic look at his craft. Allen is the aptly monikered Harry Block, who has made a successful career writing what he knows and about people he knows who are generally unhappy to recognise themselves as thinly veiled characters in his fiction. But now Harry has writer’s block and is forced to deconstruct himself and the mess he’s made of his life. Allen plays with the space between Harry’s real and imagined lives, bringing scenes from his fiction to life and forcing him to wonder if it’s too late to make amends for his morally bankrupt behaviour, and ultimately whether there any stories left to write. That’s a lot to deconstruct in 95 minutes but if anyone can do it, Woody Allen can. A much better film than it was a book (my least favourite of Michael Chabon’s mostly excellent output), I have a very soft spot for Wonder Boys despite never really calling myself a Michael Douglas fan. But dishevelled and shambolic he is really great in this film, playing Grady Tripp, a novelist and writing teacher struggling to finish his second book as his personal and creative lives spin out of control in the middle of a marijuana haze. He’s in love with his boss, the university chancellor, Sara Gaskell (the always excellent Frances McDormand). She’s married. To complicate things further, Grady’s lusted after by his student and boarder, Hannah Green (Katie Holmes), and caught up in the chaos that seems to follow his editor, Terry Crabtree (Robert Downey Jr) everywhere he goes. A redemptive mentor-mentee relationship with boy wonder James Leer, played by Tobey Maguire (in a truly endearing performance), could be just the medicine he needs to reboot his life. 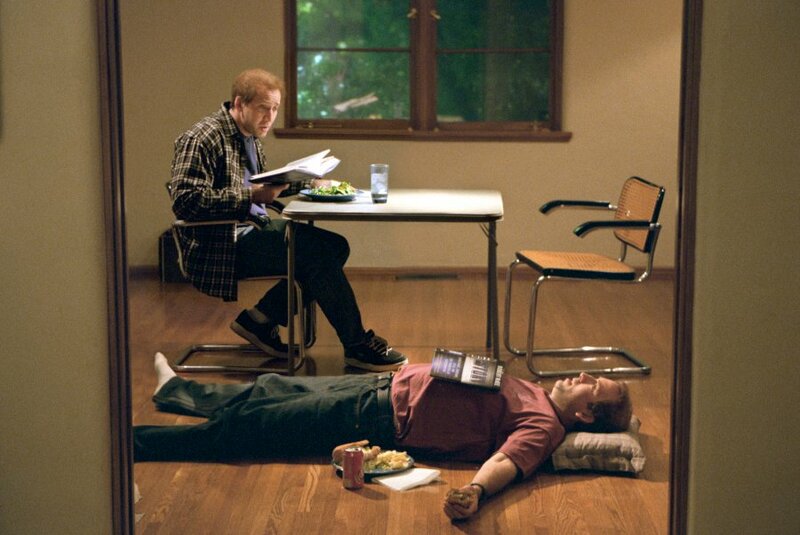 With a screenplay by Charlie Kaufman, Adaptation features Nicolas Cage – in one of his better performances since winning his Oscar for playing a drunken writer in Leaving Las Vegas (1995) – playing (drum roll) a character called Charlie Kaufman. He’s a screenwriter (you know, the screenwriter who brought us Being John Malkovich) struggling to adapt Susan Orlean’s non-fiction text The Orchid Thief. The arrival of his twin brother Donald (also Cage) – his polar opposite – isn’t helping matters and serves to quicken his anxiety, especially now that Donald’s writing a screenplay too (following Robert McKee’s formulaic approach). Charlie’s story takes life on screen – in true metatextual fashion the film writes itself before our eyes – with Susan Orlean (the wonderful Meryl Streep) chronicling John Laroche (Chris Cooper) as he tries to save a rare species of orchid. The more attractive he makes his characters the closer Charlie wants to be to them (he’s a social cripple in ‘real’ life), eventually writing himself into his script. Creative freedom is both attractive and dangerous. It’s a pretty complicated narrative to explain here, offbeat and chaotic, but wholly original, refreshing filmmaking in every way. 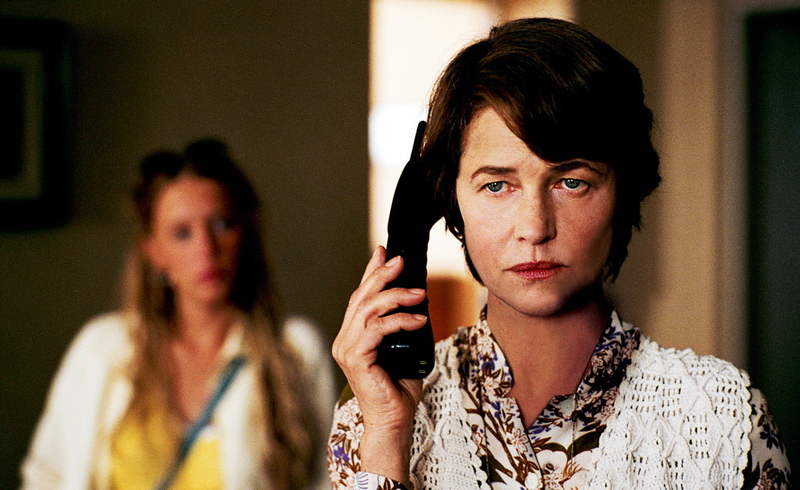 In this quietly mesmerizing film, the luminous Charlotte Rampling is Sarah Morton, an English mystery novelist who’s blocked so decamps to her publisher’s country house in France for rest, relaxation and hopefully inspiration. She settles into a tranquil routine that is disrupted by the arrival of Julie (Ludivine Sagnier) who claims to be the publisher’s daughter. A series of unsettling events sees the two women increasingly in conflict eventually leading to the completion of a manuscript and the publication of a new book. It all forces us to ask what was real and what was imagined and whether when we create art these questions even matter. 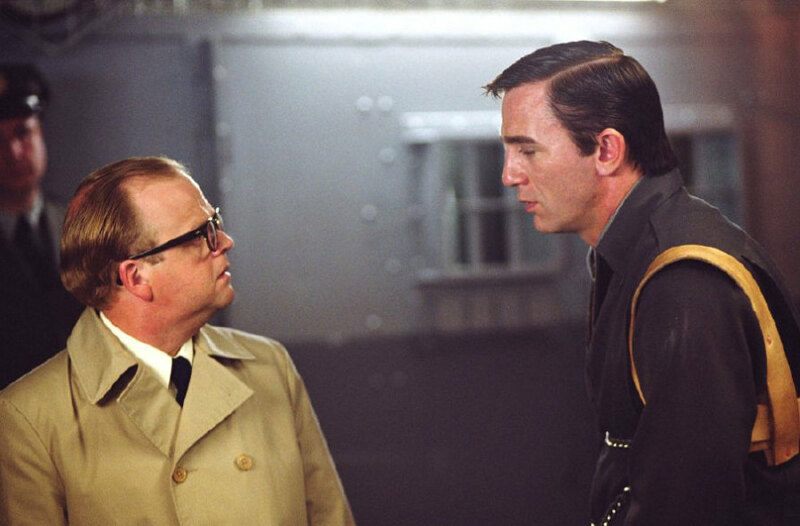 This is my favourite of the duelling Truman Capote biopics because it burrows deeper into Capote’s (an excellent Toby Jones) relationship with the murderer Perry Smith (Daniel Craig) as he researches In Cold Blood and therefore goes deeper into Capote’s own unravelling. It’s also the ‘gayer’ of the two films, evidenced in the nuanced presentation of this relationship. The closer the two men get the muddier things get. As he researches and conducts interviews for his ‘non-fiction novel’ we see Capote’s gift for inveigling himself into the lives of others in full flight. He and his great friend Harper Lee (Sandra Bullock) are invited to Christmas dinner by the star struck wife of the detective in charge of the case – Alvin Dewey (Jeff Daniels). Truman regales them with stories about Hollywood, such as his encounters with Humphrey Bogart and Ava Gardner. His relationship with the Dewey’s offers an entrée into the prison cells of his subjects. Here the writer is a master manipulator, capable of endless deception in order to create a story. His attachment to Perry and empathy with his childhood unhappiness is mirrored in Perry’s attachment to him, and his hope that Truman may help him avoid the death penalty, even though Truman knows a hanging will make the better ending to his story. Capote’s conflict between compassion and ambition is beautifully played out here but every step of the way we ask ourselves how much of it is real. A further murky layer is added with the focus on Capote’s society friends, Slim Keith (Hope Davis) and Babe Paley (Sigourney Weaver), and others. He’ll eventually plunder the lives of these women in a later unfinished book, Answered Prayers (published posthumously in 1986, with extracts appearing in Esquire in his lifetime) – many who will feel so betrayed they never speak to him again. 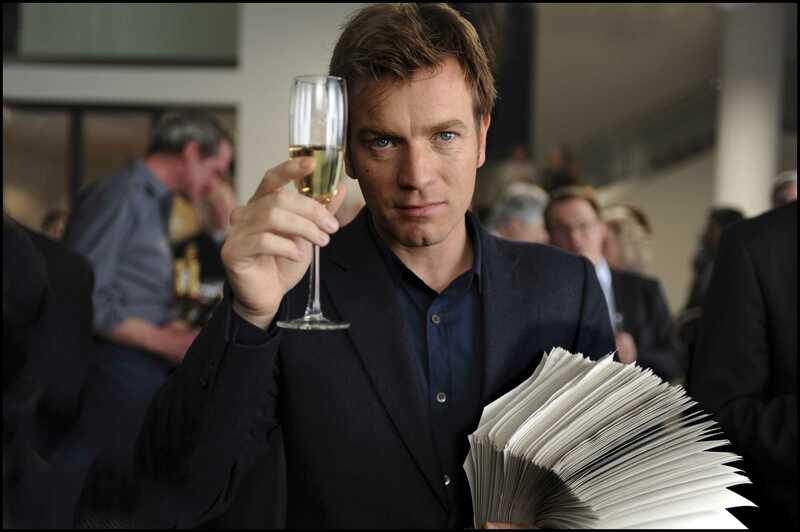 Ewan McGregor plays an unnamed ghost writer referred to in the credits simply as ‘The Ghost’ who is hired to help write the memoir for fictional former British PM Adam Lang (Pierce Brosnan). The memoir is half done – the previous ghost writer has died in mysterious circumstances. McGregor’s ‘Ghost’ is another cash strapped, hard-drinking writer forced to make some difficult choices. The manuscript he’s working with is dull but when ‘The Ghost’ tries to spice it up his life is put in danger. I can’t say much more here but it’s stylish stuff from Polanski, one of the last great director’s making films in the classical style. 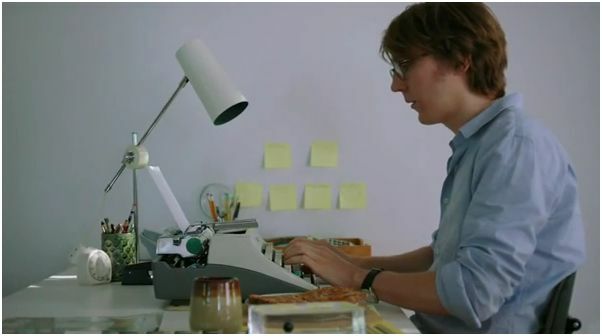 In Ruby Sparks, my most recent venture into the writer’s mind, Paul Dano is Calvin Weir-Fields who produced a successful novel when he was just 19 and ten years later is struggling with a follow up. He’s neurotic, socially awkward and struggling with the death of his father a few years before. Writer’s block and loneliness give birth to a new character – Ruby Sparks, played brilliantly by Zoe Kazan (who also wrote the screenplay) – who first appears to him in a dream, then springs from the page as a new character (he uses an Olympia), finally emerging as a flesh and blood creature in his kitchen. A strange and wonderful romance follows that then takes a turn when finding that Ruby is everything he’s ever wanted (literally a dream come true and because he’s written her as his perfect girl) Calvin finds she isn’t enough. But how did she even get here? Is she real or just a figment of his outstanding imagination? Has Calvin gone mad? As a writer, I was really interested in what this film says to me about the life our characters take on not only on the page but also in our lives. A writing teacher once told me that the most important thing isn’t to create likeable characters but characters you love, flaws and all. When a character emerges who fits this bill, like Ruby, it is like a dream come true. And really loving them means letting them go so other people can too. Another great post. I’d love to work my way through the list here, many of which I haven’t seen. As a writer you will find all of them really interesting, some entertaining, and others frightening!